Stephen has observed and written about the fragile habitat of Polar Bears, helped change the laws in Sweden and Norway on Wolves, studied Brown Bears in Sweden and ringed Great Grey Owls in Norway. He has worked on influential BBC series and films including The Private Life of Plants, Land of The Tiger and Wolf Saga, and Rhino Journey for Discovery. As a leading wildlife filmmaker he has nearly been ‘eaten’ or ‘trampled’ on by some of the world’s largest mammals. Stephen has always been fascinated by nature and all wildlife and much preferred to be out in the field than sitting in a class room. He is an intellectual naturalist – modern day Gerald Durrell and as knowledgeable and riveting to listen to as David Attenborough. His first love is tigers and he has been studying individual tigers and family groups in Bandhavgarh and Kanha National Parks in India since the 1980’s and is the BBC Wildlife’s leading tiger expert. He is also passionate about wild dogs and birds. 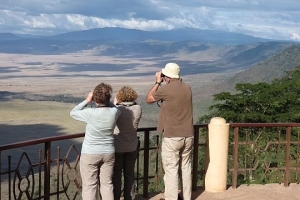 Stephen encourages people to go out into the field and watch wildlife and strongly believes that wildlife tourism has a valuable role to play in conservation. Going on safari with a good naturalist is like opening Pandora’s box. Stephen can not only predict animal behaviour but explains anatomically why species behave in such a manner and the influence of their ecosystem on their behaviour. You learn something every day on safari with Stephen. He is also very switched on about current wildlife issues and conservation initiatives. Travelling with Stephen is always fun, informative and relaxed. We have been working in partnership with Stephen for over 20 years. 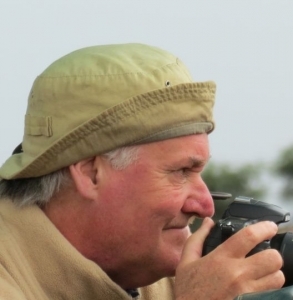 He has been leading small private safaris for us to look for tigers in India and Nepal, ‘big cats’ and wild dogs in East Africa, as well as mountain gorillas in Rwanda and Uganda, polar bears in The Arctic, brown bears in Finland and the wonderful wildlife in The Galapagos Islands. Many have been in association with BBC Wildlife.